Riviera Nayarit continues to attract major investments and the biggest names in international resort development. Led by companies like IBEROSTAR, Grupo Vidanta, Tau Resorts and others, the choice of new resorts this year will be more impressive than ever, building on renovations and new tourism programs in 2012. To date in 2013, an investment of US$70 million has been committed to develop new hotels along Riviera Nayarit’s coast, augmenting its position as a world class tourism destination. IBEROSTAR Playa Mita: A new and spectacular 452-room resort will open to the public in late 2013 in Litibú, located at the north end of the Banderas Bay. The new, all-inclusive five-star property will feature two pools, a Kids Club, four specialty restaurants, three bars and meeting facilities. Guests will also have access to the nearby Greg Norman-designed 18-hole championship golf course. The resort will be IBEROSTAR Hotel & Resorts’ tenth property to open in Mexico. Tau Resorts: Tau Resorts is a new and innovative development group focused on creating high-quality timeshare resorts in Pacific Mexico. 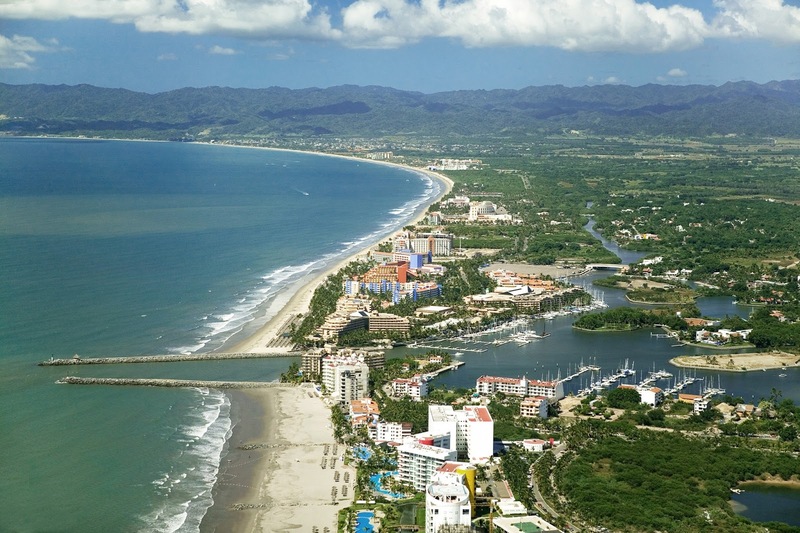 Two resorts are planned for Riviera Nayarit, one of which will open this year. Set within the new Nahui lifestyle community, Tau Resorts Nahui will open in late 2013 and will have a total of 172 units in configurations of two-bedroom lock-offs. Community amenities at Nahui will include a village, Beach Club, golf course, hiking trails and oceanfront water sports center. The initial phase of 24 Lock-off/two bedroom units was completed in end of 2012, with the second and final phase to be completed by late 2013. The Grand Luxxe Nuevo Vallarta, a Grupo Vidanta resort, opened in February 2010 with 108 rooms. By the end of November 2011, 288 more rooms were added bringing the total to 396 rooms. Because of the high demand, there is currently a new tower under construction with 144 rooms which is set to open in November 2013. These new hotels augment the hotel renovations and new tourism programs of 2012. Last year, Grand Palladium Vallarta Resort & Spa, Occidental Grand Nuevo Vallarta, Four Seasons Punta Mita and Hotel CINCO finalized major renovations to enhance visitors’ experience. Riviera Nayarit also welcomed the new Hard Rock Vallarta resort in August 2012. Moreover, as part of a commitment to strengthen tourism and development in the region, last year, Riviera Nayarit, announced a program called “Paraisos Nayaritas” for the beautification and maintenance of Riviera Nayarit’s towns. In addition, the destination has allocated funds for a new task force dedicated to the protection of tourists.